To ride a motorcycle in the Dubai desert is much more fun than riding a car. We will guide and teach you how to master a desert drive in Dubai. Our Bike for desert drive in Dubai have about 100Kg and more then 40Horsepower - this is the best toy for a desert drive in Dubai! You want to explore the desert of Dubai in a very light and strong vehicle? Learn to jump over dunes in a desert drive Dubai? Or have you have spent hundreds of hours on motocross tracks close to your home town and you know the tracks like the back of your hand? So it is time for you to explore something new! You want to experience a real challenge? Come and join us for the trip of your life - book your Dubai desert drive! Desert drive Dubai - a lot of fun on a light bike! Desert drive in Dubai - Imagine the hot desert wind blowing. Imagine the sound of your dirt bike´s engine roaring in the vastness of the Arabian desert. Visualise the feeling of the tyres on the fine desert sand. Then imagine yourself riding off-road, bashing dunes, and jumping with your bike! This will be your best event of the year to keep in mind and to tell everybody. Enjoy the unforgettable Dubai desert ride and Dubai desert drive! More Infos about desert ride you can see when you click on the red link. 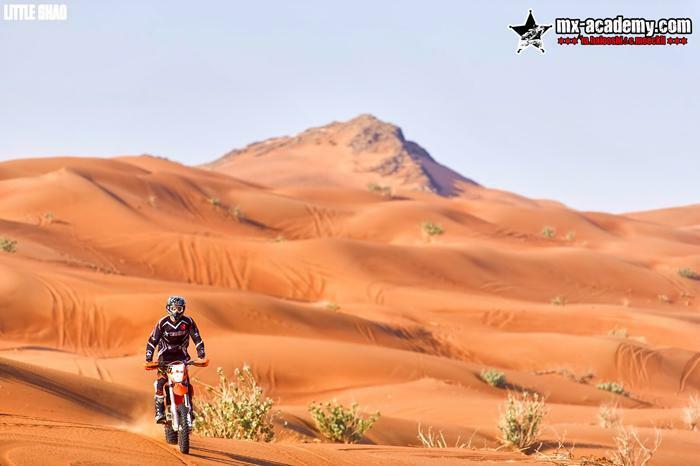 Our two experienced motocross coaches Chris Moeckli and Mohammed Al Balooshi will take you on this fascinating Dubai desert drive and drive trip to the Emirate located between Saudi Arabia and Oman on the shores of the Persian Gulf. 6 hours flight away from middle of europe you will find perfect conditions for some fun-filled days on the bike. Our coaches, - both multiple motocross champions and experienced competitors in international competetions for many years - will teach you all about riding a dirt bike in the desert. 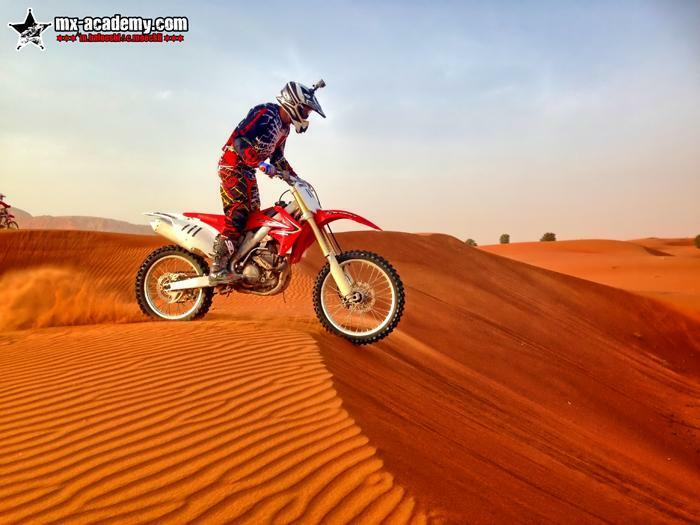 If you are interested in Motocross Dubai, just click on this link. Desert drive Dubai - explore the desert! Apart from your amazing Dubai desert ride and desert drive action you will have enough time to enjoy everything that Dubai has to offer. For example you can explore stunning architecture, including the world´s tallest building, - the Burj Khalifa and the world´s only seven-star hotel Burj Al Arab. There are impressive buildings like the world´s largest man-made island, - the Palm Jumeirah and luxurious shopping facilities like the world´s largest shopping mall. Dubai is a place of superlatives! Contact us for more information on Dubai desert rides and drives and for booking your trip to a whole different world. We will be happy to arrange trips on your desired dates. More interesting things to do in Dubai, Dubai activities and informations about Dubai you can see when clicking on the links.